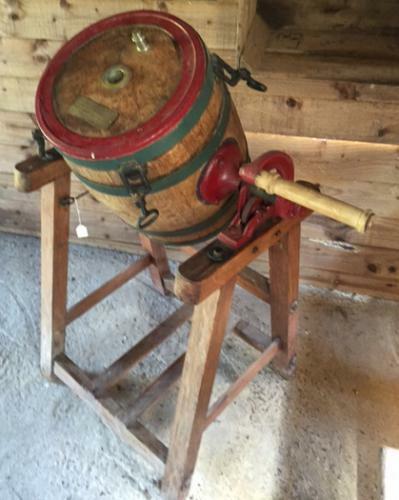 Antique Up and Over Butter Churn in excellent condition and with brass fittings. From our own collection. Marked Lister 8 gallons. Complete with spy hole and all fittings. Note detaches from the base for easy transportation. Would look great in a hallway, barn conversion etc. The barrel detaches from the frame for transportation.